Music is an integral part of a quality early childhood curriculum. It plays a role in setting the tone of the classroom, developing skills and concepts, helping children make transistions, and building a sense of community. Children, of course will tell you that singing is part of their daily activities because it is fun. 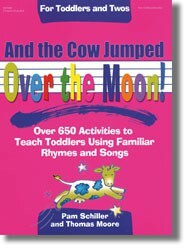 While the selections themselves are a great way to enhance the development of literacy skills, the follow-up suggestions for story time, outdoor play, music and movement, and literacy extension activities will be a sure-fire hit with this age group. Related rhymes, songs, and chants. Follow-up language enrichment activities, including ideas for developing oral language and phonological awareness.